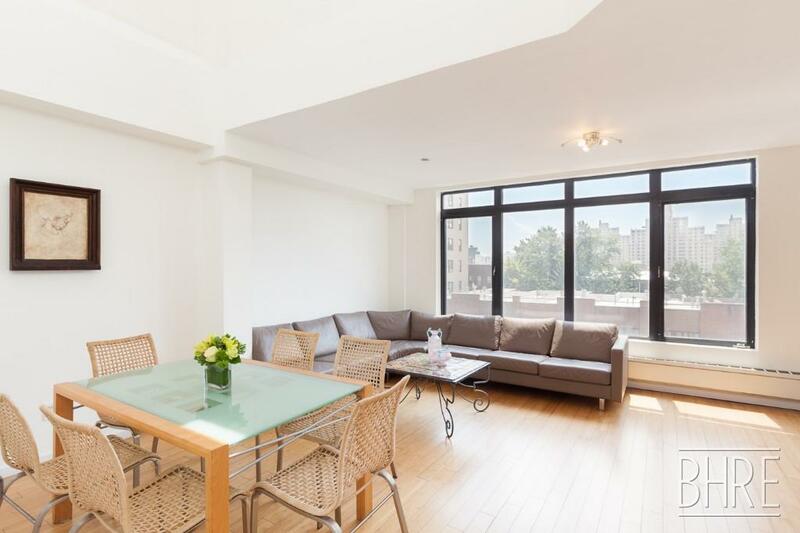 Private, quiet, sunny,serene .Take the private keyed in elevator up to the top of the building's 5th floor with it's private penthouse level. 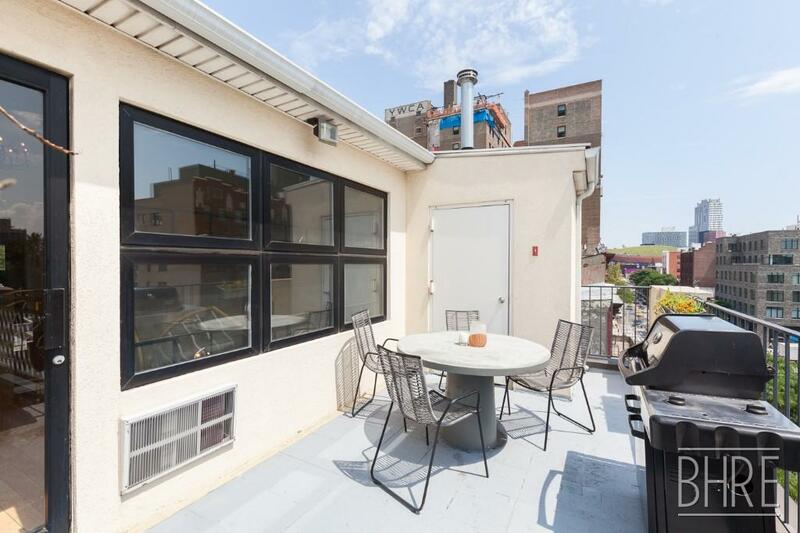 Find 1850 + square feet plus three private terraces. How do you count the volume created by 20 ft+ ceiling height in many levels? You can create another floor area or lofts or library or gallery. 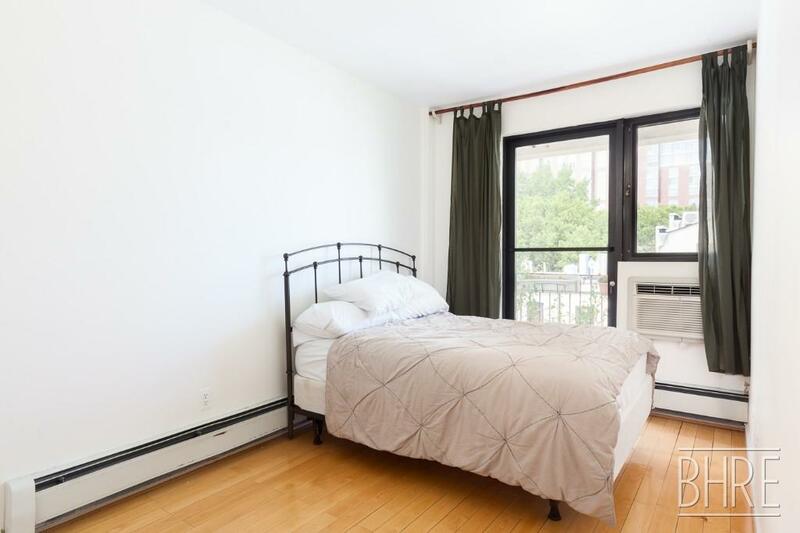 Three generous bedrooms face rear brownstone backyards of State Street, double pane windows allow endless light and sky but block any noise from below. 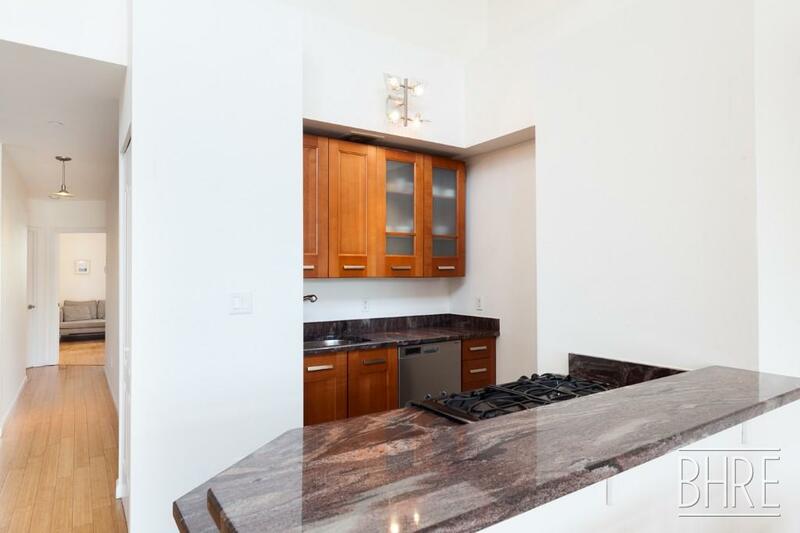 Step off your private keyed elevator into your spectacular penthouse duplex with 3 bedrooms, 3 bathrooms, 3 terraces over 1850 sq ft. 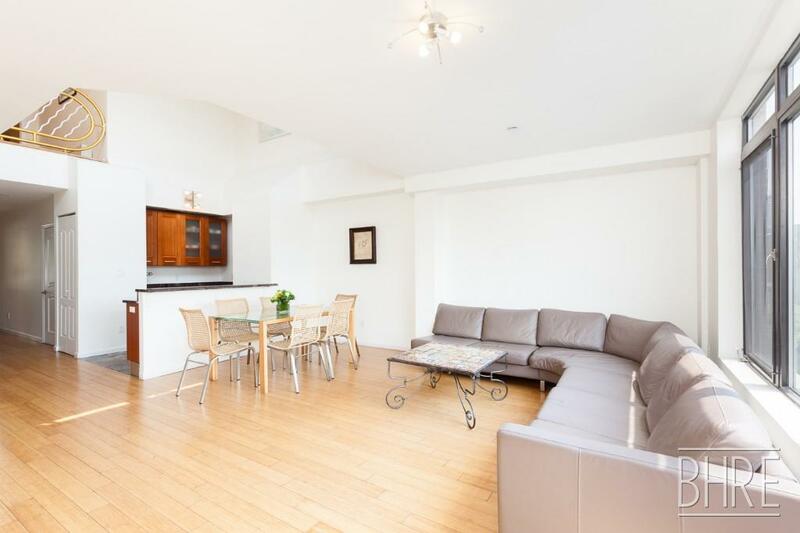 Spacious enough to be a house or grand live-work loft or simply play hide and seek and get lost. 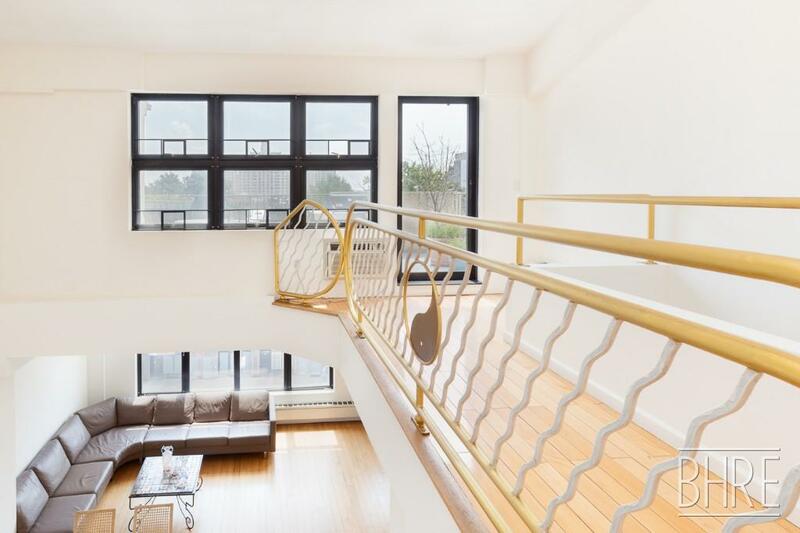 A huge plus is that the duplex staircase is a non -spiral, there are no interior windowless “rooms” and the ceiling is so high you can build a loft or two. The kitchen, dining area and living room have a double height atrium exposed to both levels. The south-east facing wall of windows allow so much light that you'll always start your morning off with a coffee and a smile. The first level has an open kitchen with plenty of cabinetry and a large pantry. There is a coat closet as well as a closet with a washer dryer hook up .Bonus is a marble guest bathroom complete with a shower. 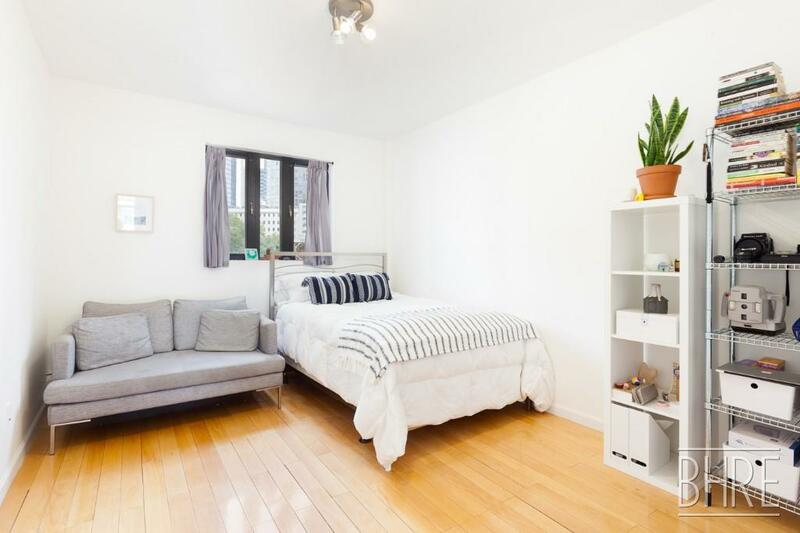 One bedroom features an en suite bathroom with a 12 foot tall closet-dressing room. Second bedroom has great closet space and added bonus of terrace with tree top views. 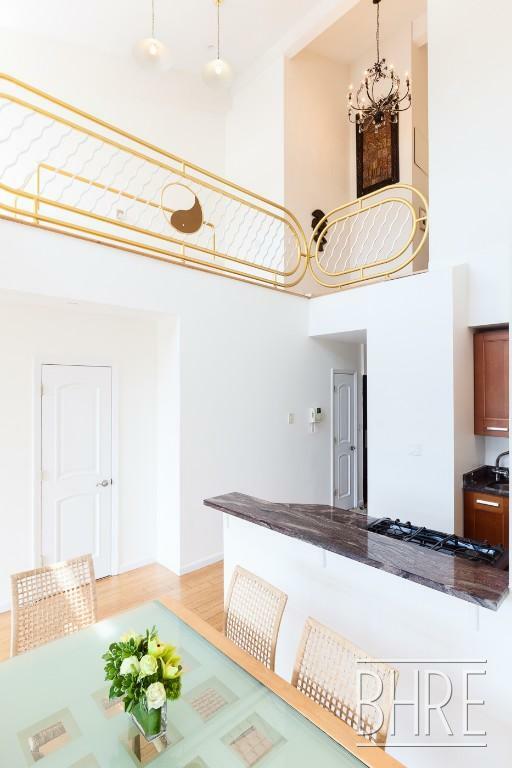 The spectacular second level holds a huge master suite with walk-in-closet about 14 foot tall, and unheard of wall space perfect for your gallery, book shelves ,sleep loft or whatever suits you. 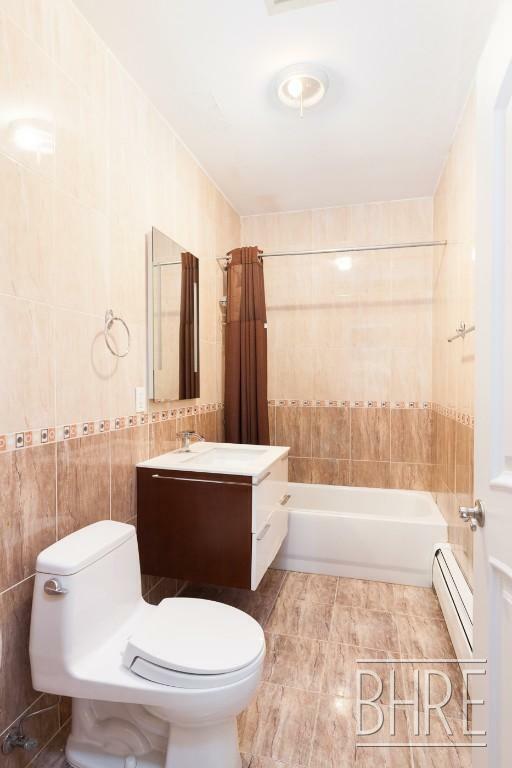 Spacious bathroom off 14 foot tall dressing room-closet. Again another terrace off this master bedroom. Front of the floor is a large south-east facing terrace ,perfect for barbecuing ,growing flowers or vegetables for your own farm-to-table experience. Yes, the sun rises here and sets over 2 rear terraces. You’re above it all, in the clouds , stars,serenity. 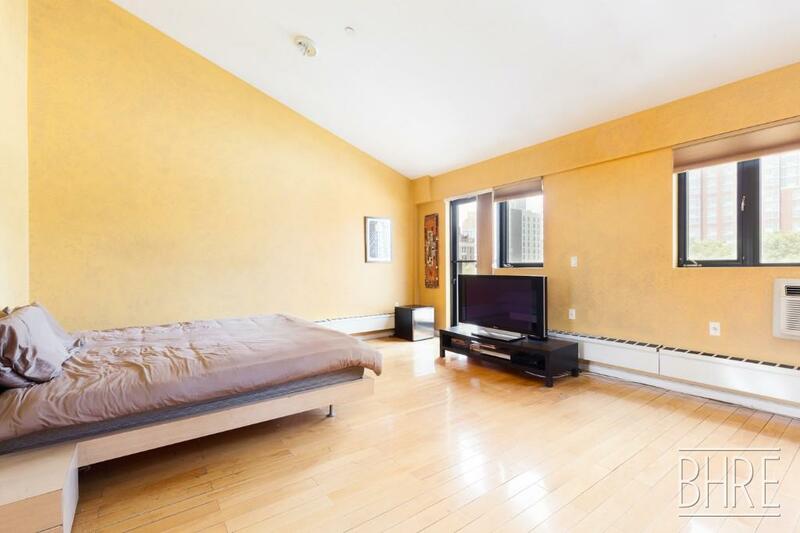 Central location near all trains at Atlantic Terminal, shopping at DeKalb market ,Whole Foods, Trader Joe's and the ever evolving Downtown Brooklyn ,Fulton Street and BAM Cultural Center.Blocks from the renown Sahadi's Lebanese grocery shop as well as Damascus Bakery.